Fundraising Request. Let us help you put the FUN back in fundraising! Raise Money for your SCHOOL, CLUB, or TEAM! 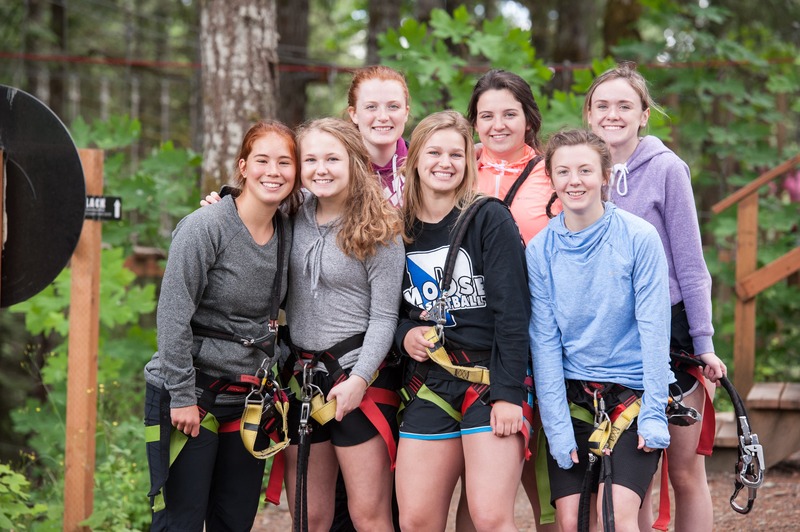 Tree To Tree Adventure Course will help you raise money for your school or organization. It's a fun, healthy, outdoor adventure for every age and ability. Send us an email or give us a phone call! We'll chat with you about your group and work with you to help you determine when to run your fundraiser to get the best return for your group! On your designated fundraising day(s), we will donate $5 for each full priced adult admission that your school or organization refers. A good turnout adds up fast for your cause. We want to your school or organization to succeed. How well you do and how many referrals you get is up to you. Spread the word as far as you can! You and your organization are responsible for your success in fundraising. Spreading the word about your upcoming fundraiser is critical to raise as much as you can! If you'd like a photo of our courses or to use our logo, please let us know. We'll also provide you with your own unique fundraising code that anyone can enter on their online reservation to let us know that they're supporting you and your cause. You've already picked an exciting venue, now let everyone know! Write Social Media posts leading up to your fundraising event with all of the important information – and ask for your fans to share it with their friends! A sponsored post could benefit your group, if it's in your budget. Show pictures of your group having fun at Tree to Tree if you've been here before. Tell your story! Explain to others who you are, and what you're raising funds for. The more that others can connect with you and your cause, the more excited they will be. Ask for the person in charge of your group's emails to send an email to let everyone know. Think about a fun incentive to get others interested. Something along the lines of "If we raise $500 at our fundraiser, I'll do the Tree Top Plunge or get pied at work the next Monday!" can really help to get others involved in spreading the word.